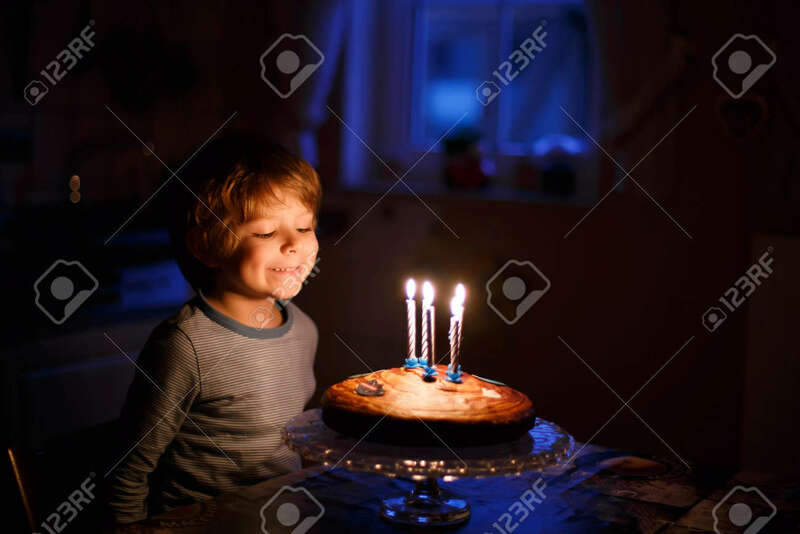 Adorable Five Year Old Kid Celebrating His Birthday And Blowing Candles On Homemade Baked Cake, Indoor. Birthday Party For Children. Royalty Free Fotografie A Reklamní Fotografie. Image 40780170. Reklamní fotografie - Adorable five year old kid celebrating his birthday and blowing candles on homemade baked cake, indoor. Birthday party for children. Adorable five year old kid celebrating his birthday and blowing candles on homemade baked cake, indoor. Birthday party for children.